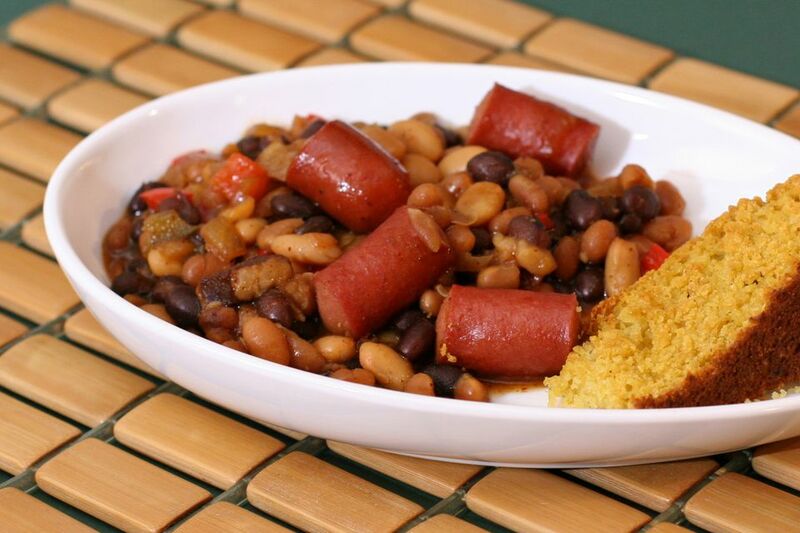 Beans and hot dogs make a tasty and budget-friendly meal, and the slow cooker makes them extra-easy. Use hot dogs, little smokies, or cocktail wieners in this great tasting everyday meal, and serve the dish with buttermilk biscuits or freshly baked yeast rolls. Combine all ingredients except hot dogs in a 4 to 6-quart slow cooker. Cut hot dogs into 1 to 2-inch lengths and stir into the bean mixture.